Find answers to questions we commonly come across. Can’t find the answer you are looking for? Click the button below and one of our friendly support staff will contact you. We understand that starting counseling can be difficult and that you probably have a lot of questions. Rest assured, you’re not alone and we want you to know that we’re here to help. Christian Counseling is clinical psychotherapy that allows you to utilize your faith and the power of Jesus Christ to address mental health issues. Christian Counseling assumes that psychology is not the cure for our issues, but is useful in assessing, understanding, and coping with them. According to John 8:32, it is the truth of God that sets us free from our struggles, and in John 14:26 we find that the Holy Spirit is our true Counselor. Generally, Renewal Center is open Monday – Thursday from 9:00 AM to 9:00 PM, and Friday 9:00 AM – 5:00 PM. Additional times are available by request and wait lists for evening hours are often necessary as the demand for these times often outweighs our availability. What different kinds of counseling do you offer at Renewal? As mentioned in the services section, any one type of treatment intervention does not fit everyone nor does it fit all disorders. Your intervention needs to fit your needs and your symptoms! We will help you determine the modality of treatment that will fit you best. Modalities of treatment include types of counseling such as family counseling, group counseling and individual counseling. Types of treatment interventions can vary greatly, and you and your counselor will define your treatment plan together and will include different types of counseling such as Cognitive-Behavioral Interventions, Insight Therapy, Rational Emotive Therapy, Supportive Therapy and many other counseling techniques that are cutting edge in the field. Yes, Renewal Center utilizes a multi-disciplinary approach to counseling using teams of professionals coordinating your care together. Our psychiatrists at Renewal Center operate as the facilitators of your care, giving feedback and direction to your diagnosis, your treatment goals and any medical care that is needed to assist in decreasing your symptoms. Our Medical director is Dr. Robert Bauer, who has helped us develop programming at Renewal Center for over four years now. Our psychiatrists are available to you for consultation, as we believe that having a team of professionals working for you all under one roof will best facilitate your recovery. Why do I have to see a counselor to see a psychiatrist? Treatment is most effective for those who need medications when they are being seen by a psychiatrist and a counselor who are working together as a team. Unfortunately, our doctors at Renewal are often overbooked, and thus we are only able to offer psychiatric services to those who are active in counseling (at least one session per month) at Renewal Center. We apologize for any convenience that this may cause and we are able to make referrals to those looking to see a psychiatrist only for their treatment. How do you pick my counselor? Though it is almost impossible to consider all of these factors together before meeting your therapist, our support and clinical staff have been very successful at placing you with the counselor that will best help you. It is important to remember that true change is uncomfortable at times, so if you feel uncomfortable at any time with your therapist, you may actually be with the exact right one! Are all of your counselors Christian? Yes! Our niche at Renewal Center is in having therapists that are available and equipped to help you incorporate your Christian faith into your therapy process if you so choose. All of our clinicians have professed a faith in the Lord Jesus Christ as their Savior, but they also have all professed a deep level of acceptance and care for all others that have differing beliefs. We work with all faiths, denominations, and religions at Renewal Center, and have had nothing but positive feedback at how accepted and cared for our clients have felt no matter their beliefs. Per our insurance carriers, a psychotherapy session is defined as a 45 to 50 minute time slot focused on Mental Health goals. Our group therapy sessions range from an hour to an hour and a half, and our medication reviews are generally 15-20 minutes. Payment is expected at time of service. At times it is difficult to determine the exact amount of your insurance co-pay, and a balance will be allowed accrue with a signed agreement. All balances are billed monthly and are due within 30 days of receipt of your bill. Renewal Center has worked hard to panel with every insurance carrier that you may be a part of. In order to do so, Renewal Center first had to be approved by a national accreditation service called CARF (Council of Accreditation for Rehabilitation Facilities), which most insurance carriers require in order to demonstrate that our practices meet high quality standards. 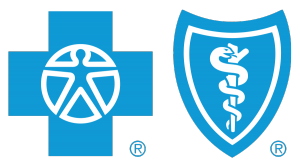 Upon passing CARF with flying colors, Renewal Center was then able to contract with Blue Cross as a OPC (Outpatient Psychiatric Clinic) and with most of the other popular third party payers. We have more insurance payer options than most of our competitors because we have a variety of state and federal third party payer contracts including Medicaid HMOs, Medicare and local Community Mental Health agencies. There are very few insurances that we are not able to accept – please refer to the Fees and Services section for a semi-complete listing. Renewal Center has a sliding fee scale for those who either do not have insurance or choose to not use their insurance for payment at Renewal. This sliding fee scale adjusts your rate to give a discount to those who meet certain minimum annual income requirements. Though there are some exceptions to even this, rates for most will start at $75 per session. Please refer to our Fee Schedule for specifics. For all others utilizing your insurance provider for payments, co-pays and co-insurances should be listed on your contract or available by calling your insurance carrier. Our office staff would be glad to assist you in this process. We love kids at Renewal Center and have gone to great lengths to provide for the mental health needs of the children represented in our communities! Please refer to Play Therapy to learn about our clinical counseling services and AD(H)D Assessments to learn about assessing your child’s needs and using our child psychiatrists to help your child medically. Please call our office and ask if there are options to assist you in obtaining the treatment that you need and deserve. For those without financial resources and for those without insurance, we often have available times with our interns at much reduced fees. Each counselor at Renewal has a certain number of “pro bono” hours that they give, and if these are not available, often a person’s church or community can be engaged to help with payments. Please refer to our links for your local Community Mental Health hotlines and call for additional help; these centers are mandated to assist with mental health needs of those without resources, and they have public funding for those who are in crisis. What methods of payment do you accept at Renewal Center? We accept cash, checks, and most major credit cards as payment at Renewal Center. Payment is required at the time of service and all balances are due at the end of the month in order to continue scheduling with your counselor. Do you offer substance abuse counseling? Yes! Renewal Center is registered and approved by the State of Michigan as a Licensed Substance Abuse Facility. Many of our clinical staff have specific training and expertise in addictions and have credentials in the state of Michigan as a Certified Advanced Addictions Counselor. For further questions about programming, please feel free to call and ask for our Substance Abuse Program Director. We would be glad to call you and help you begin the process – just visit the Contact Us section and fill in your information and our office staff will be sure to call you and set up your first appointment. You may also call us in Clinton Township at 586-783-2950 or Port Huron at 810-966-0099 and our support staff will take your demographics, your presenting problem and your insurance information and set you up for an assessment session with the counselor that best meets your needs. Will my information by kept private? Yes! There are laws in our country that require your counselor to keep all information confidential that you share in your sessions. Privacy is a core value for Renewal counselors, and they have a moral and ethical standard to protect your private health information. There are only a few exceptions to your rights of privacy that largely center around the need to share information to protect your safety, the safety of others, a court subpoena or a signed release by you to give out such information. CARF is the Council for Accreditation of Rehabilitation Facilities and is responsible for auditing all operations of the organizations that contract with it to ensure they are meeting the highest quality standards in the mental health field. 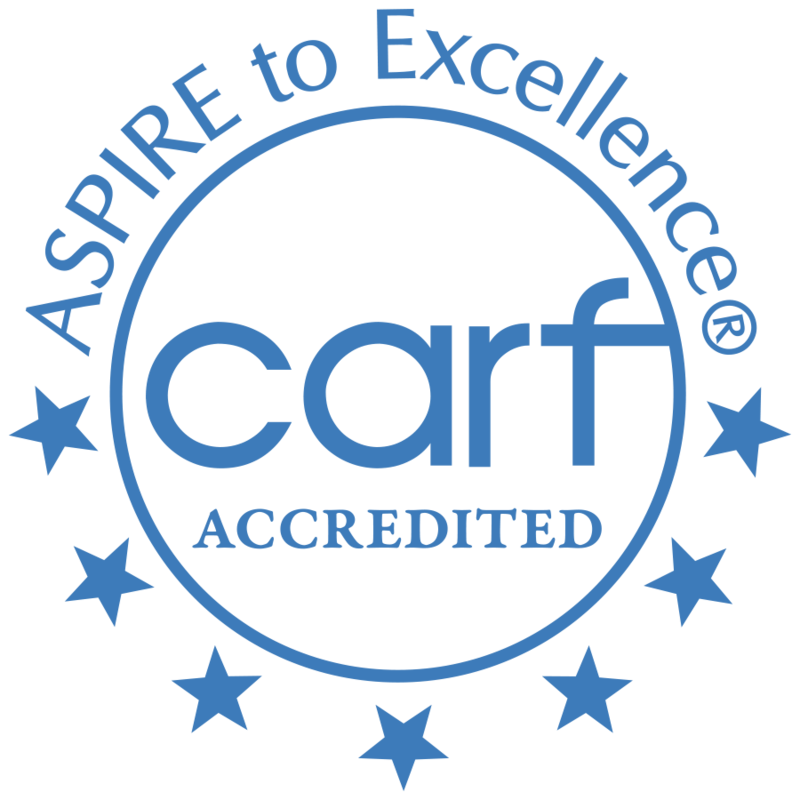 CARF audits Renewal Center at least every three years and has given the highest marks of excellence for our practices clinically, financially, ethically and medically. For more information, please visit www.carf.org. Do I have to talk about “Christian” stuff during counseling? No. Renewal Center utilizes what is called Person Centered Planning, which means that you are in control of what you talk about in your sessions. The staff of Renewal Center are dedicated to meeting you right where you are at; they are invested in helping you to utilize your beliefs (not theirs!) in your counseling experience no matter what faith or practices that may include. Renewal Center has been known to work with persons from all walks of life and many who profess beliefs opposing traditional Judeo-Christian beliefs. How will my faith be incorporated into my sessions? True Christian counseling seeks to give input that is not based on the opinion of the counselor but on the foundation of principles and discernments that come from above. Your faith will be incorporated on many levels and especially into your decision making process, into the process of reality testing your thoughts (which lead to your emotions and behaviors), and as a source of strength and encouragement for the healing journey you are walking. We know that you will have a lot of questions as you start your road to counseling and renewal. If you have additional questions after reading the frequently asked questions section, please fill out the form below and we will get you a personalized answer. We look forward to hearing from you!